All of this treachery, double crossing, and conquest would continue as part of Florida’s history. The Indians would be driven from their land over the span of three Seminole wars. It would be the most costly war that the US government ever financed against the Indians costing some where in the range of approximately $200,000. 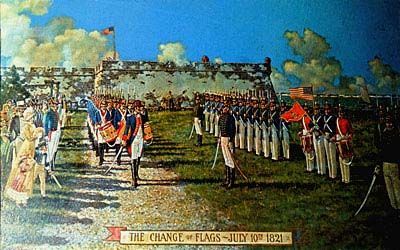 Also known as the Florida wars, they would span almost half a century in the 1800s ranging from 1816 to 1858. This would also be the time that Spain was finally cede the territory to the United States as ruler. However, it would seem that Florida would again be touched by superstition in the early 1900s. This time it was not the fountain of gold, mythical sea dragons waiting to swallow boats, or pirates looking for plunder… this time voodoo would be the culprit. One of the most famous incidents tied to Florida’s history comes in the form of a non-assuming toy known as Robert the doll. 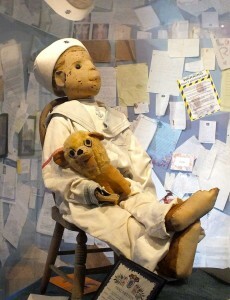 Allegedly, the doll is possessed by spirits and has quite the terrifying reputation. Supposedly cursed, it has become quite the noteworthy item when it comes to people touring Robert’s home at East Martello Museum in Key West. The history alleges that the doll was originally given to a young child named Eugene from one of the Bahamian servants in the household. The servant was skilled in black magic and voodoo, and over time became disenchanted with the family. Soon after that Eugene’s parents noticed strange things happening in their home. The boy would often say that the doll spoke back and the parents even heard him talking. They assumed that Eugene was using a different voice to talk back, but later they say they realized that it was the doll actually talking to Eugene. Eugene would scream out in the night, his furniture would get knocked over, and he would tell his parents that Robert the doll was the culprit. After Eugene’s death in 1974, the doll remained in the attic until the house was purchased again. The family had a young daughter. Soon after, the girl began screaming at night saying that the doll moved around the room and even tried to attack her on several occasions. To this day she’s convinced that the doll is possessed. At a paranormal conference in May of 2008, Robert made his debut. This was the first time that Robert was moved from his Key West home in over 100 years. Between gold, pirates, voodoo, conquistadors, youthful myths, and scary waters, Florida certainly has one of the most interesting histories on record.